Latin American, Mexican and Caribbean cuisines inspire this LoHi restaurant. 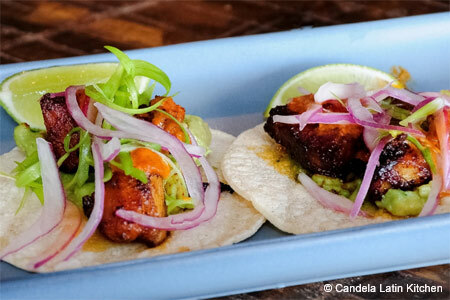 : Candela Latin Kitchen in the Lower Highlands (LoHi) neighborhood in North Denver draws influences from Latin American, Mexican and Caribbean cuisines. Nibble on mushroom empanadas or beer-battered shrimp tacos and wash it down with sangria or a margarita.